Bumping into a mountain lion is definitely something one does not wish to happen when traveling outdoors. Whether it is about getting ready for the next trekking or for the upcoming thru-hiking trip, the thought of dealing with a mountain lion rarely crosses one’s mind. 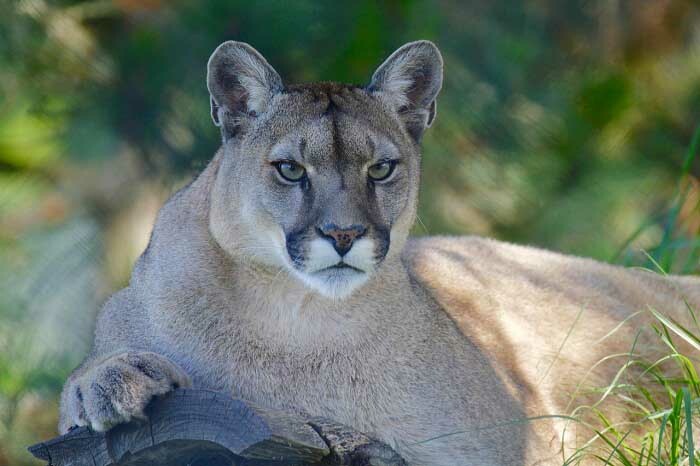 While it is totally understandable for campers and hikers to overlook the possibility of encountering mountain lions as it is pretty rare for such encounters to happen, it is still strongly recommended to prepare yourself just in case, because, it is always better safe than sorry. There are a couple of helpful tactics that can totally save you from the threat of running into a mountain lion. Read on to find out what to do if you see a mountain lion. When Are Mountain Lions Most Active? Before we venture into the tactics, it is necessary to grasp some basic facts about mountain lions. The more you understand them, the more likely you are to escape and protect yourself from them. It’s impossible to know what to do if you see a mountain lion without first equipping yourself with essential knowledge on these creatures. Mountain lions, like some other wild animals, fortunately, tend to avoid humans. That’s why the chance of encountering a mountain lion can be virtually non-existent. But it doesn’t mean that they are not dangerous. Even a deer can be a danger to humans. Mountain lions normally spend their days taking covers, and they only go hunting when their preys are active. Since deer are mountain lions’ favorite preys, they tend to be most active when deer are out in the open, which is usually at dawn and dusk. So, to avoid having to deal with a mountain lion, be extra careful when you are hiking on your trail within these time frames. Avoid hiking alone during dawn or dusk if possible and stay aware of your surroundings. 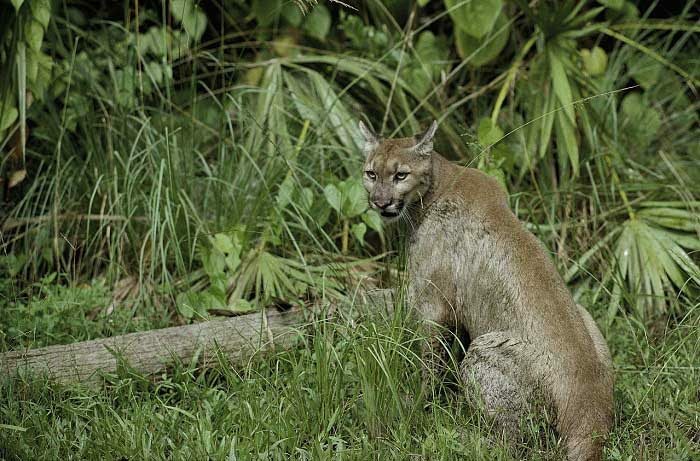 Supposing you are on the trail enjoying the nature and suddenly you spot a mountain lion nearby, what should you do? To be honest, even the toughest adventurers can be caught off guard and freeze because of shock. It’s relieving to know that when mountain lions see humans, they tend to walk away. But what if the lion doesn’t move away? How do you know what to do if a mountain lion is stalking you? While that sounds utterly scary and you are probably shaking with fear and terror, keep in mind that the only way to get out safely is to stay calm. Do not freak out or make rapid movements or attempt to run away, because it will only worsen the situation and you will risk encouraging the mountain lion to chase you. 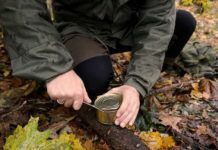 In order to maximize your chance of survival, you will need to carefully assess the situation. Remember, never bend down or crouch under any circumstance as it will make you look like the delicious prey to the mountain lion. In order to evaluate the risk and know how to respond accordingly, you can watch for the distance between you and the mountain lion and the behaviors of the mountain lion to decipher its motive and the level of danger. If the mountain lion lingers near you within 100 yards and does not pay attention to you, avoid approaching the lion and try to back away slowly. If the animal is moving closer to you within 50 yards and seems to be attentive to you, try to appear larger without turning your back and look for potential weapons (sticks or rocks). This will make the animal realize that you are not its prey while allowing you to be prepared for any possible attacks. Above are some tricks to help you have an idea of what to do if you see a mountain lion. However, in some extremely rare cases, some campers or hikers accidentally upset the mountain lion, which poses a high risk for attacks. - Throw things at the animal: If the mountain lion tends to behave in an aggressive manner and you fail to steer clear from the animal, be prepared to throw potential weapons you may have. It can be a water bottle, rocks or sticks or monoculars or even your camera or anything else you have. This should discourage the animal from launching an attack on you. - Fight back: In the worst scenario where the mountain lion attacks you, fight back instead of running away as it is pretty unlikely for humans to outrun the mountain lion. Plus, running away will only add fuel to the fire and trigger the animal’s instinct to chase you. A pepper spray will come in handy in this situation and you can use it to fight back the mountain lion when it comes near you. 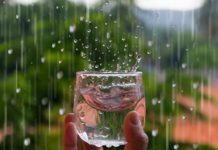 - Protect your crucial body parts: During the fight, always remember to protect your crucial body parts including your head, neck, and throat. Try not to fall to the ground as it will make you inferior to the animal. According to the mountain lion’s hunting behaviors, the reason why the mountain lion chooses not to walk away from you is that it views you as either its prey or predator. That’s why most of the time, the wise thing to do when you spot a mountain lion nearby is to back away slowly and change your appearance so that the mountain lion won’t think of you as its prey anymore. Try wearing contrast colors and appear larger or taller (wearing extra jackets for instance). The bigger or taller you look, the more likely the animal will avoid confronting you. And most importantly, never ever bend down. Yelling firmly at the mountain lion is also effective. On a side note, it is equally important to steer clear from potential preys of the mountain lion. That way you won’t have to worry about attracting unwanted attention from the mountain lion itself. Obviously, nobody likes to combat against such an animal as a mountain lion, so the best thing to do is to avoid them altogether. And if you travel with your pet or lots of belongings, be aware of your surroundings and always keep your pets leashed nearby. Some of the recommended methods to keep mountain lions away from your pets and property are installing some frightening devices such as a motion alarm or cold water spraying devices. These will work perfectly if you live near the area of the known presence of mountain lions. Traveling into the wilderness is inarguably one of the best ways to gain life experiences, but it can be risky in one way or another. We hope that this post has been helpful for you to prepare for what to do when you see a mountain lion. For your own safety, always do a research on the area that you are traveling to while keeping track of your surrounding. 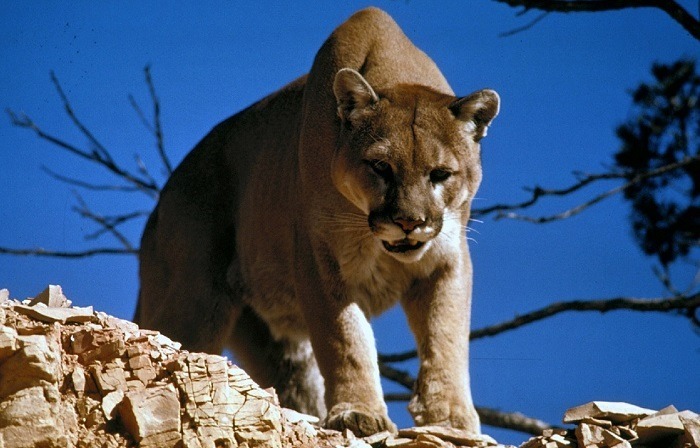 It’s never too late to take precautions against possible mountain lion or other animal attacks. Staying calm in all situations is the key to safe travel. 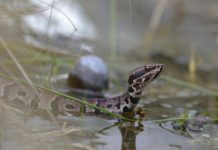 How To Identify A Water Moccasin In 5 Simple Steps – Know It Here!